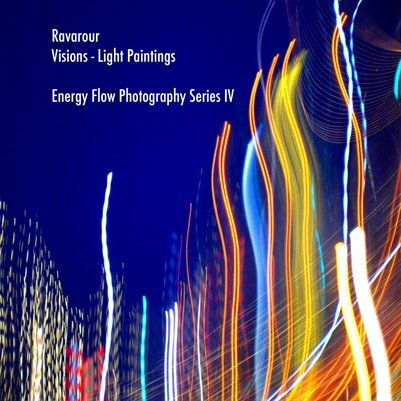 Light Paintings is the last volume and Series IV of the energy flow photography books by Ravarour. His mission is to uplift humanity through the transformation of consciousness. As an adept energyworker, he imbues these creations with an energetic transmission, which combined with classical aesthetics and visual storytelling make the works themselves tools of transformation. Ravarour plunges into the depths of the human mind, exploring the great myths and mysteries. As a seeker he asks, and every answer leads to a frontier of new questions. Presented here are 47 light paintings photographs that represent the completion of Ravarour’s decade of energy flow photography. These photographs are achieved through light, movement and timed exposure, without the use of digital manipulation.